The logistics involved in importing and exporting goods can be very complicated and time consuming There are many issues that need to be taken into account such as geographical location, infrastructure limitations, as well as obtaining and completing correctly all the documentation required. This and all the facets of importing or exporting goods requires specialised knowledge and expertise that is always up-to-date. 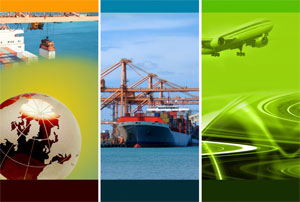 Amongst the many services we offer, many of our clients take advantage of our advice on foreign trade regulations and insurance, our ability to consolidate shipments to reduce costs, the arranging of all documentation, assistance with packaging and warehousing issues and supervision of the movements of your goods. We have fully licensed Customers Brokers on staff, who are available to advise you on Customs Law and Practice. At Lloyds we are most proud of our ability to provide you with a level of personal service without equal in our industry.